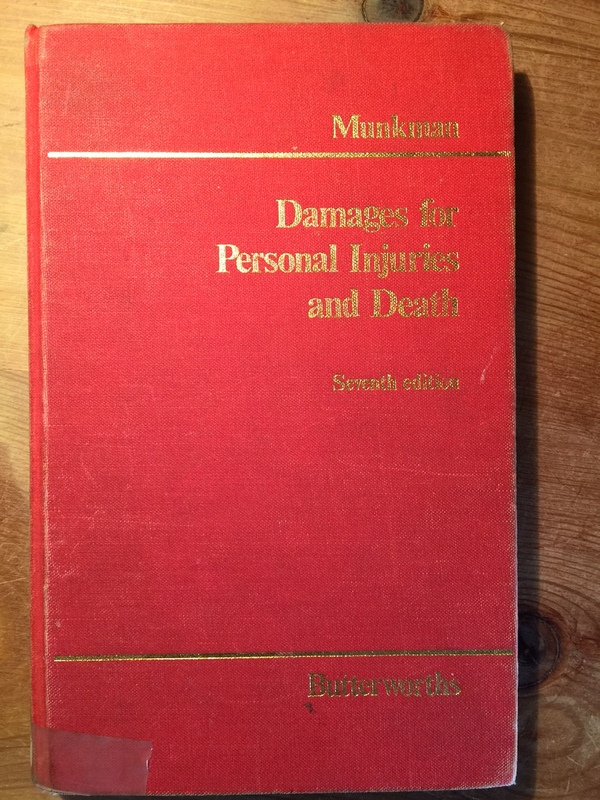 It is now sixty years since the first edition of Munkman on Damages was published, it is now in its 13th edition. Looking at how it has changed over the years says a lot about how the law has developed but also how some fundamental points are timeless. John Munkman practised at the Bar in Leeds. He qualified as a solicitor before the war and took the Bar exams whilst in the RAF and stationed abroad. (which meant he was excused attending dinners). He died in the year 2000 but kept practising up to his death. I visited him in a nursing home shortly before he died and he had lost none of his faculties. Our discussions ranged over foreign policy and the “interim provisions of the Law of Property Act 1925” (a subject upon which I listened more than participated). The first edition was published in 1956. It consisted of seven chapters. The seventh chapter being “illustrations of the quantum of damages”. 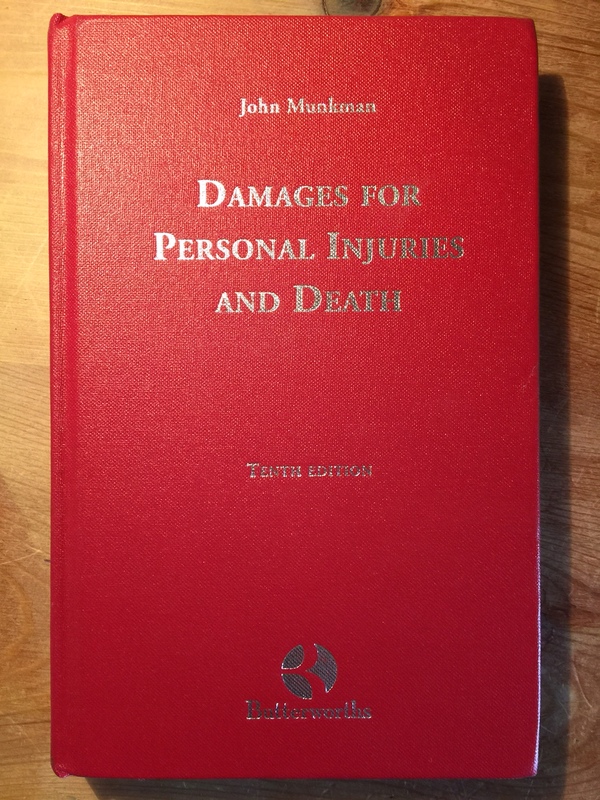 John’s approach to damages for pain and suffering was distinct. 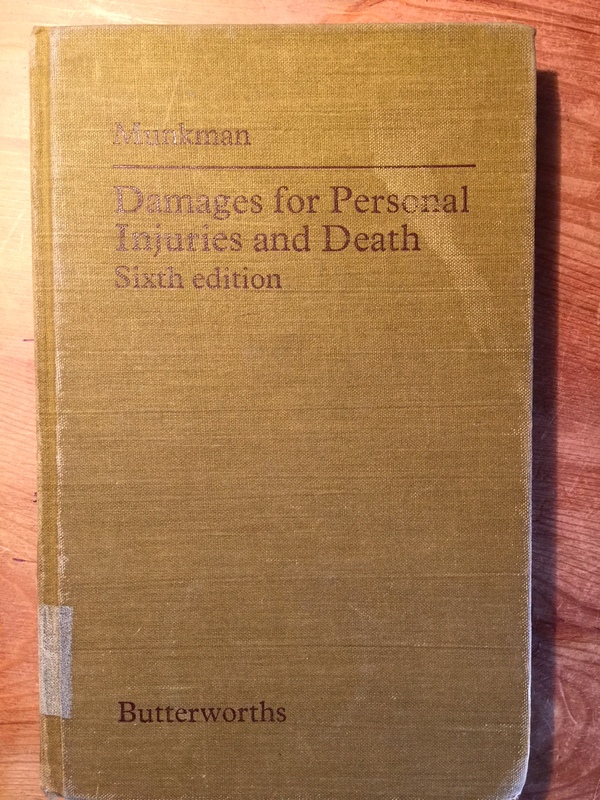 He preferred to look at the overall effect of the injury :”total wreck” cases; “partial wreck” cases rather although there are numerous examples of particular injuries. (Loss of one eye was around £2,000 in 1956). I suspect that you may well have to have written a book to understand the industry and labour involved in writing this work. At that time there were obviously no computerised assistance. John work alone. He was attempting to collate and explain what was almost a totally new subject. (Kemp & Kemp had been written – as a book – in 1954, John had strong views about his competitor text). 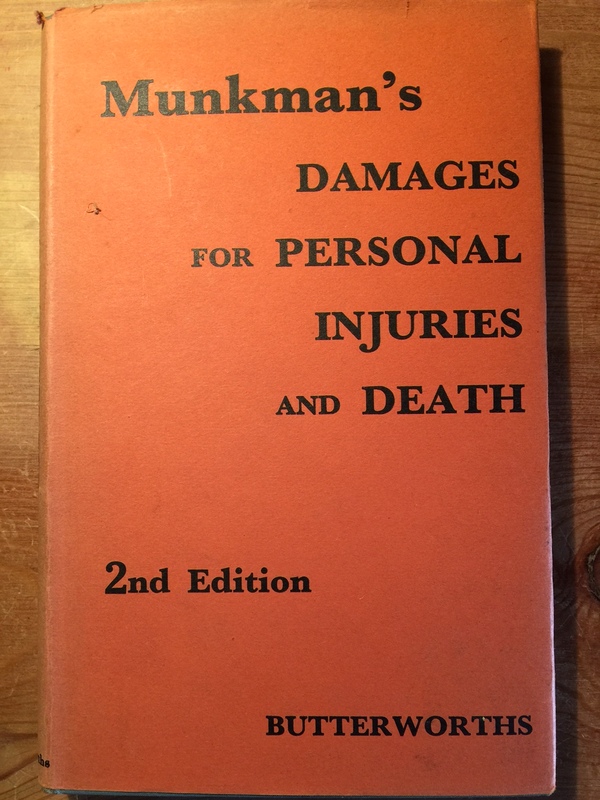 The second edition incorporated many revisions and the new Fatal Accidents Act 1959. This edition is noticeably thicker. John noted that numerous decisions on key points meant “I have therefore been able to substitute definite authority for my own surmises, which, I am pleased to say, have on the whole proved to be accurate”. 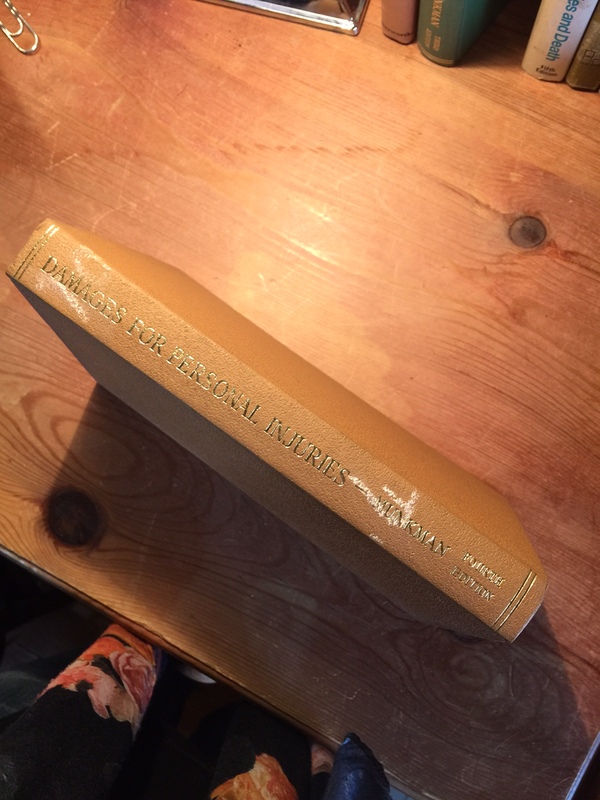 In 1965 Lord Denning in the Court of appeal was giving a “strong lead” on quantum of damages. John was looking to Australia and New Zealand to assess developments and noted “I have at times had correspondence from most parts of the English speaking world, and even from such countries as Norway and Belgium whose legal systems are very different”. This dealt with the Fatal Accidents Act 1976 and a series of House of Lords’ decisions in relation to damages. 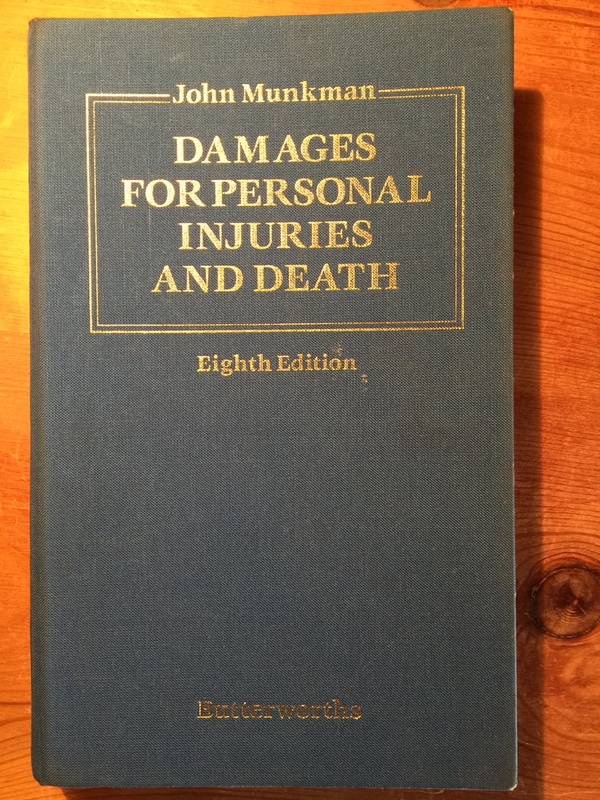 This edition dealt with changes to the Fatal Accidents Act and the introduction of bereavement awards; the effect of shortening of life on damages and supervening illnesses. John made an interesting observation about the use of case law and “precedents” in relation to damages. “Thirty-five years ago, when the courts first approved use of the current level of awards as a guide to damages, it was never intended that individual cases should be used and quoted in elaborate detail as precedents. The intention was that the court should take judicial notice of the general range of awards for a typical injury such as the loss of an eye, though a few cases might stand out as guidelines. (The word “bracket” has been used – it is an unsatisfactory word, verging on slang, and I prefer “range”, which is more correct as a mathematical analogy”. Now, however we are inundated with great masses of cases, many of which carry no weight because they are agreed awards or have been decided by recorders or other minor judges. There is no pattern in this mass of cases. You cannot see the wood for the trees. This is of course the consequence of the computer, where everything that is fed into it is described as “information”, though it is just as likely to be “misinformation”. I originally wrote that I didn’t have a copy of this. However a kind reader, Casey Weston, tracked one down and gave it to me as an early Christmas present. (The hardest part of the job she tells me was persuading the bookshop that she really did want to buy an out of date legal book). This edition was the first after the Judicial Studies Board Guidelines were introduced. My 9th edition was a workhorse in the sense it was in daily use (it may have fallen apart). It was supplemented by the fact that I was in chambers with John and could call on him if I had an issue with the law (he was always generous with his time). In answer to my seemingly inextricable tangle his reply would always be something like “The Court of Appeal decided that issue in 1957” and then to take me to the relevant edition. However it shouldn’t have gone to my head. 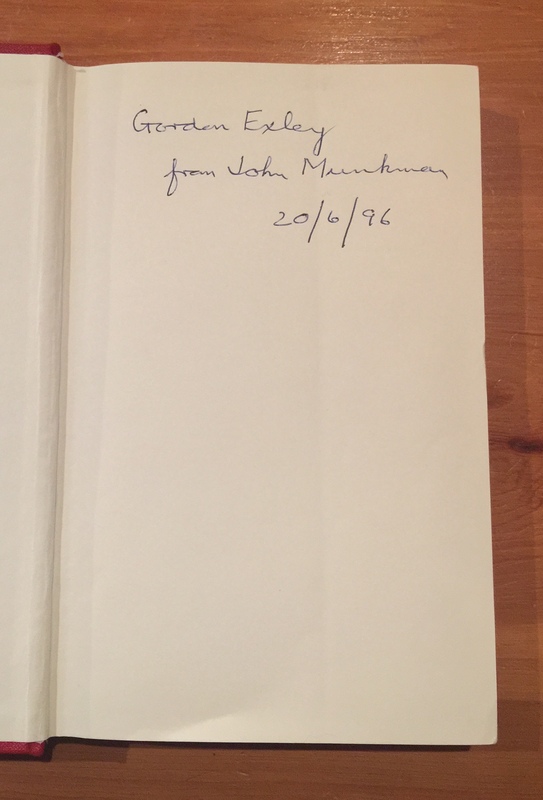 When I asked John to sign a copy for me he made it out to “Gordon Exley”. THE ELEVENTH EDITION 2004 (and a change of author). John died in 2000. He had an outstanding oration from the judges and bar in Leeds Crown Court and attending that was an experience in itself. A few months later I had a letter from a firm of solicitors, John’s executors. In a codicil to his will John had expressed the wish that I take over authorship of the book – would I take it up? It was a year or two later before the publishers felt that there was a need for a new edition and asked me to write it. (For the record my name was spelt correctly in the codicil). Now this was scary stuff. I had written books in the past. 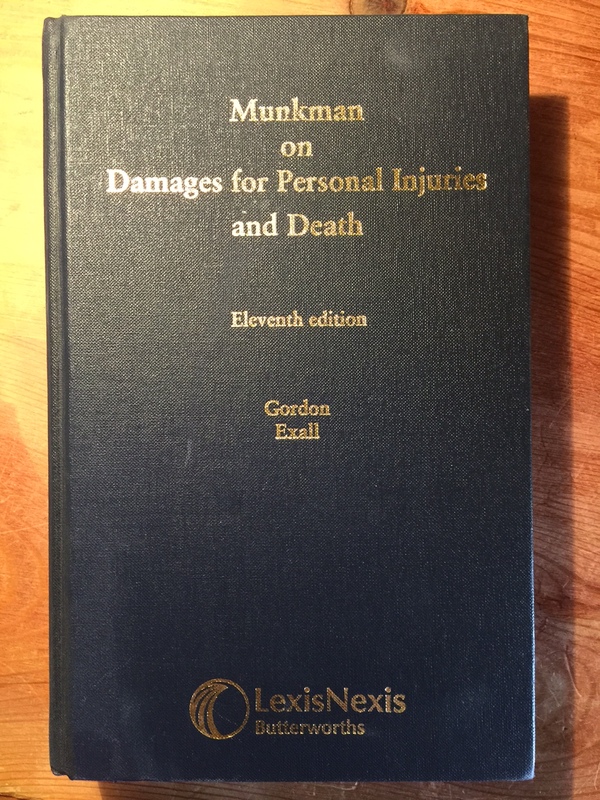 However Munkman was a seminal work. It was cited in numerous court decisions throughout the Commonwealth (and beyond). Could I write it? How much, if anything, could I change? Would I be haunted by the ghost of Munkman if it didn’t meet his (very exacting) standards? It was one of my then colleagues, I think Julian Goose (now Mr Justice Goose) who encouraged me. John would not have left the book to anyone who he felt was not up to the job. Further he was very much his own man – I should make the changes I felt appropriate. So I made changes. The seven chapters in the 10th edition were replaced by 20 in the 11th. 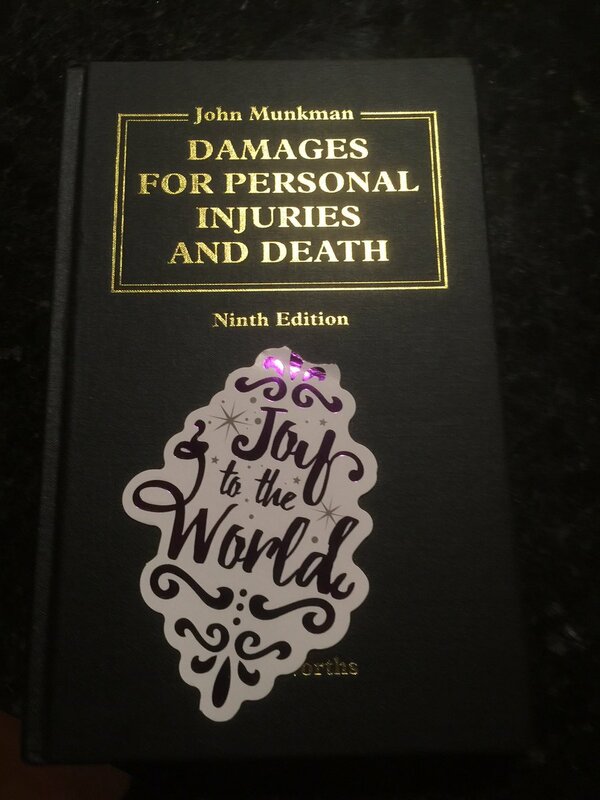 There were three chapters on fatal accidents and new sections on provisional damages and interest on damages. 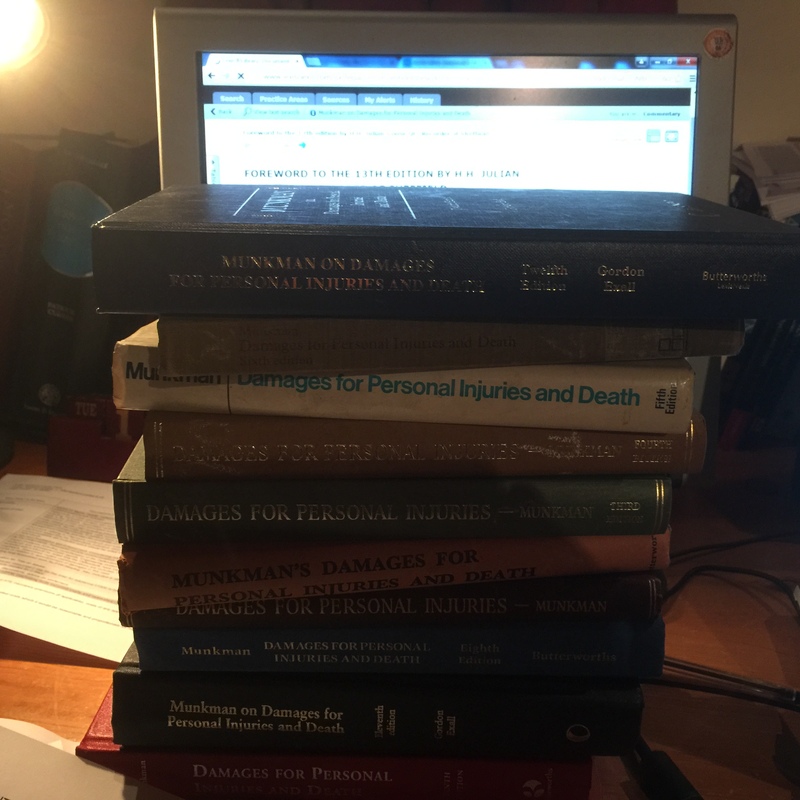 I put in specific chapters on claims for loss of earnings and employment prospects, care and other heads of damage. I added an additional chapter on statutory recoupment. I replaced the chapter on examples of awards with the JSB Guidelines. Looking back I am surprised I had the nerve to do it. However Lord Justice Kennedy wrote a lovely introduction. He had been in practice in Leeds and knew John. I introduced four new chapters: periodical payments; accommodation expenses; damages in anticipation of death and a chapter dealing with future loss of earnings. My colleague Julian Goose was now a Q.C. 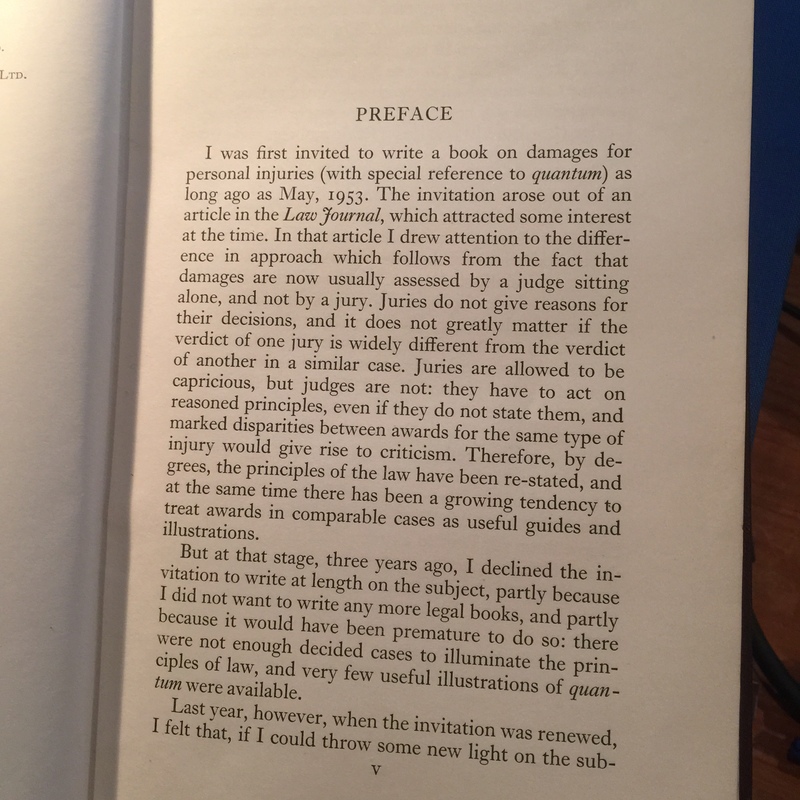 and head of chambers and wrote the short preface, (I was beginning to think that his encouragement was a ruse to get himself into print somehow). It is a totally electronic version, available on LexisNexis. 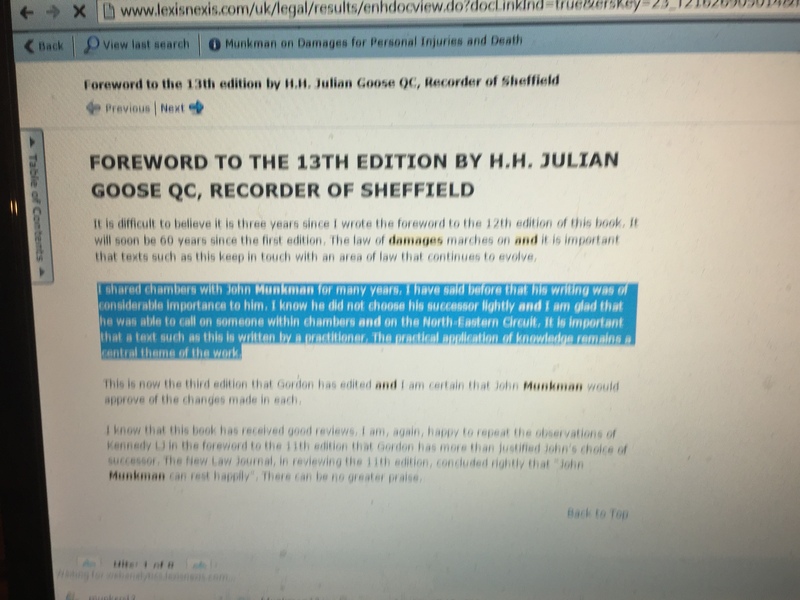 Again the Foreword was written by Julian Goose QC, this time however from his position as the Recorder of Sheffield. This is available on technology which may not have been dreamed of when the first edition was written. It is available on a computer, a tablet and even your phone (and maybe soon your watch). 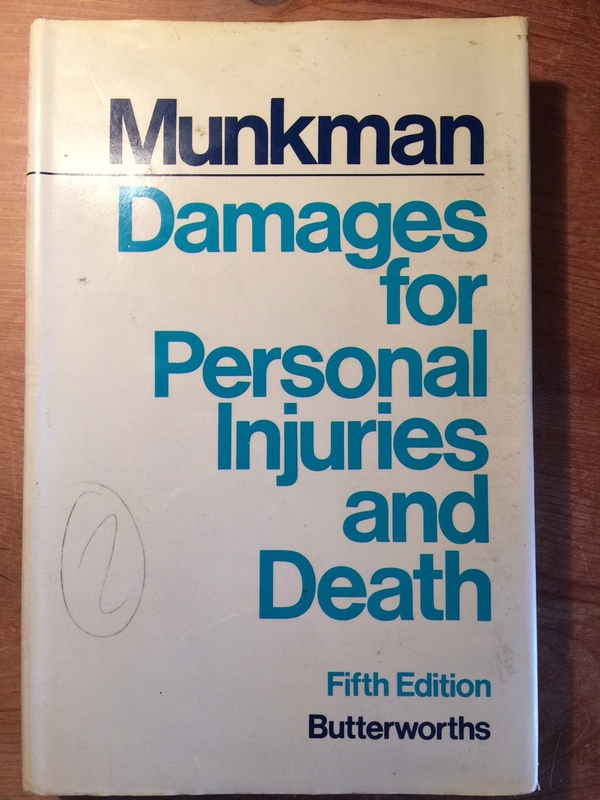 However the basic tenets of John Munkman’s book remain the same. Judges have to apply principles when assessing damages. Knowing those very basic principles is essential and it is important to be able to see the wood for the trees. It is interesting to see that in three recent cases of substance the trial judge expressly considered the basic principles relating to the law of personal damages when considering difficult issues. 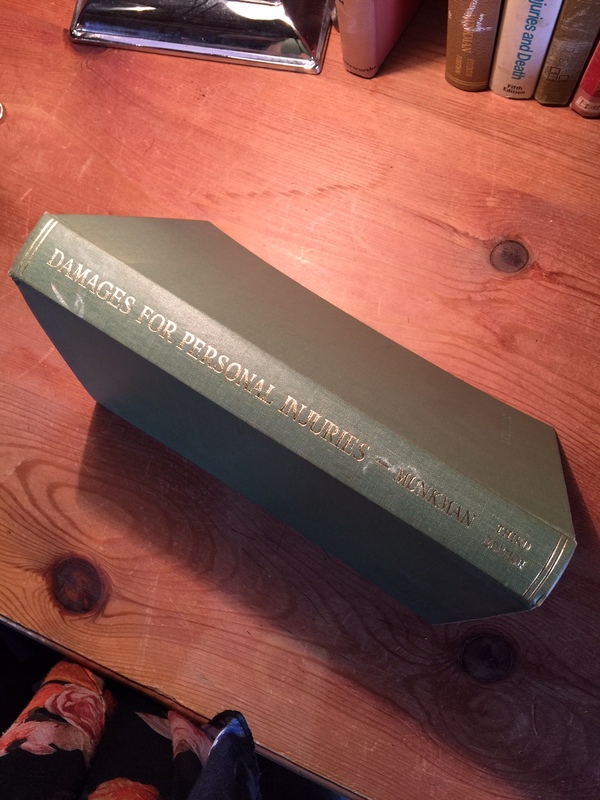 (This post originally appeared on the Zenith Personal Injury blog). Thanks for a fascinating tale, and congratulations on carrying on a great tradition.